It’s been a tumultuous year for the advertising industry, and employees are feeling the effects. Today, nearly half of industry employees say they suffer from low morale, a significant increase from 2015, according to the Second Annual Campaign US Morale Survey. 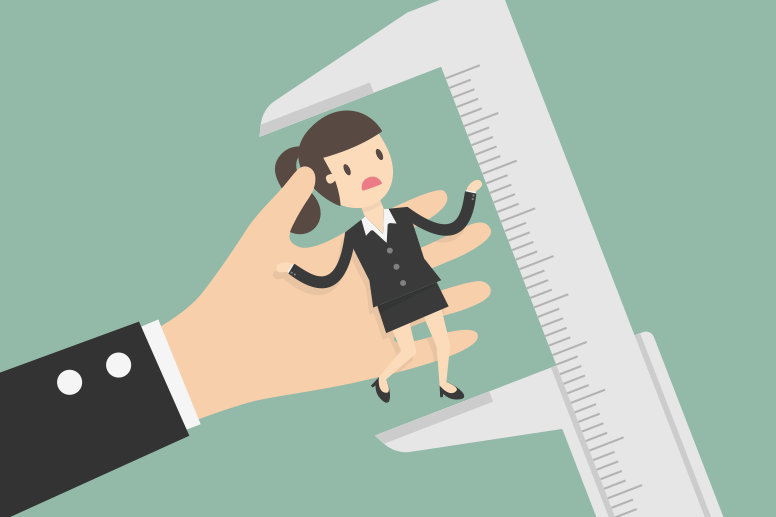 Forty-seven percent of industry employees rated their morale as either "low" (31%) or "dangerously low" (16%), according to the survey. That number is up a whopping 36% from 2015, when just 34% of employees said their morale was either "low" (26%) or "dangerously low" (8%). One thing that hasn’t changed is the cause. 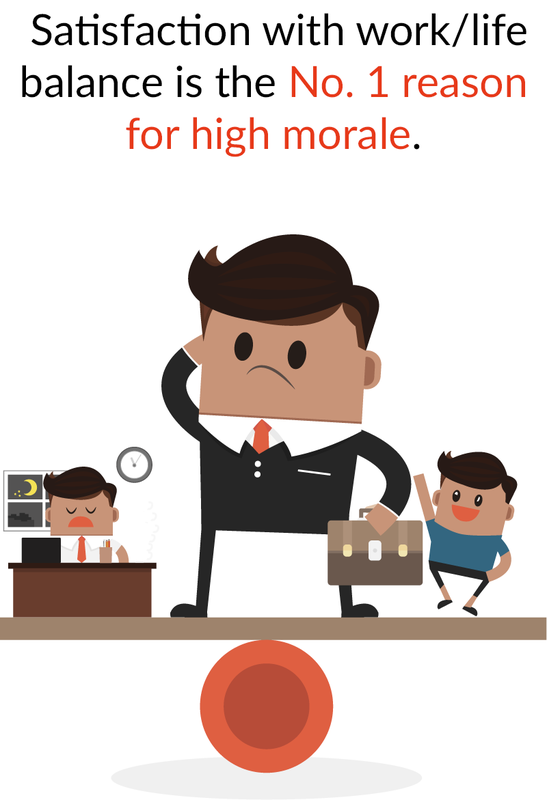 Asked to name the top three factors contributing to their low morale, respondents overwhelmingly chose "company leadership" (73%) as the top answer. Second was "lack of advancement" (45%) and third was "dissatisfaction with work"(38%). 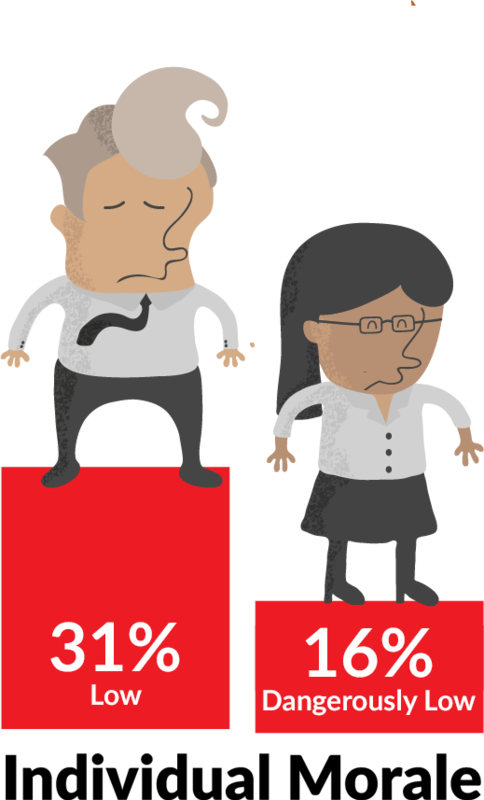 The least-cited causes were "lack of diversity" (13%) and "company performance" (14%). "Leadership hasn’t offered marketing solutions that can make staff feel as if they have a real grasp of what the future of the industry is," wrote a male African-American employee of a creative agency who classified his morale as low. "There are too many people recycling ideas from the 1980s and 1990s in leadership posts." Employees with high morale cited very different causes for their mood. Those who rated their morale as "satisfactory" (22%), "good" (20%) or "excellent" (12%) most often chose "work/life balance" (62%) as the prime reason. "Satisfaction with work" was second with 49% and "creative freedom" was third with 44%. Those rankings closely mirror 2015’s findings, when "work/life balance" was also named the leading cause of high morale. Also unchanged from last year was the high correlation between low morale and the desire to change jobs. 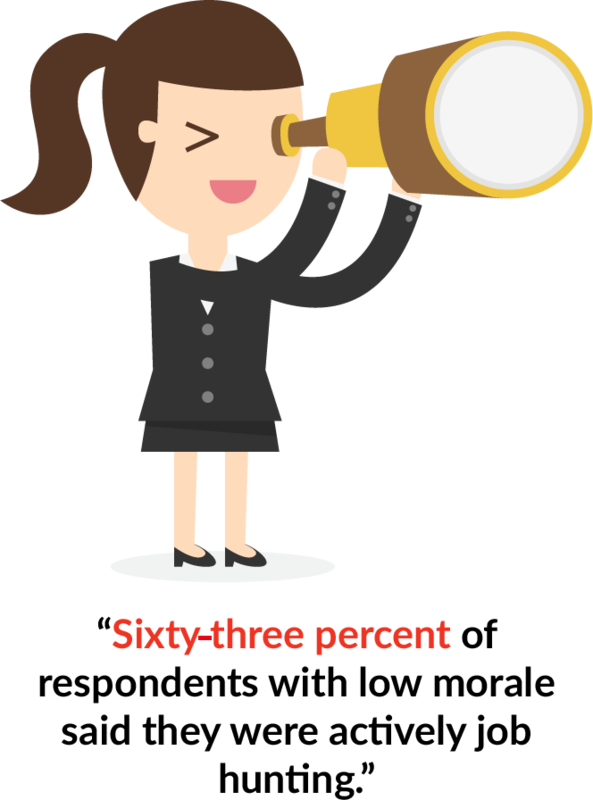 Sixty-three percent of respondents with low morale said they were actively job hunting. Those who rated their morale most often chose "work/life balance" (63%). "These findings are sobering, but—sadly—not surprising," said Douglas Quenqua, editor-in-chief of Campaign US. "Conversations with people at all levels of the industry reveal widespread frustration and even despondency about the industry and their own jobs. But seeing the numbers really crystallizes how serious an issue this is for advertising, particularly as it fights with other industries for tech and creative talent." Though morale is often cited as a "soft" business issue, studies suggest it can have a significant impact on productivity and talent retention. Indeed, 98% of respondents, regardless of their own morale, agreed that it had a significant impact on both their own performance at work and that of their colleagues. Further emphasizing the influence of management, more than half of those with low morale (58%) rated the leadership at their company as "inadequate," while only 3% rated it as "exceptional." Meanwhile, only 15% of those with high morale rated their leadership as "inadequate," though even they were not thrilled with their superiors: 13% rated leadership as "exceptional," with an even split—38% each—saying it was either "adequate" or "very good." How employees feel about the industry seems to depend largely on how long they’ve been a part of it, with junior employees the most likely to feel good about their jobs. Respondents who’ve been in the industry less than five years were twice as likely to say they had high morale than low; the same was true of those making less than $50,000 a year. Though diversity was a defining issue in the industry this year, with several high-profile leaders dismissed for discriminatory behavior, the survey found no significant correlation between gender and morale. Black or Hispanic employees were slightly more likely to have low morale than high, though the respondents were so overwhelmingly white—about 85%—that the remaining sample size was too small for meaningful analysis.